Urban farming has become hugely popular in the East Bay, but lead and other heavy metals in the soil pose potential health risks. Meanwhile, there's little consensus on what to do about it. Urban topsoil throughout the East Bay flatlands contains a cocktail of heavy metal pollutants. This article won second place for feature writing from the North American Agricultural Journalists Association in 2012. When Laura Blakeney moved into her house in West Oakland last year, she was thrilled to have a backyard. Her young daughter loved playing in the dirt. And all that space seemed perfect for a vegetable and herb garden. What she didn't see was the danger lurking in her soil. 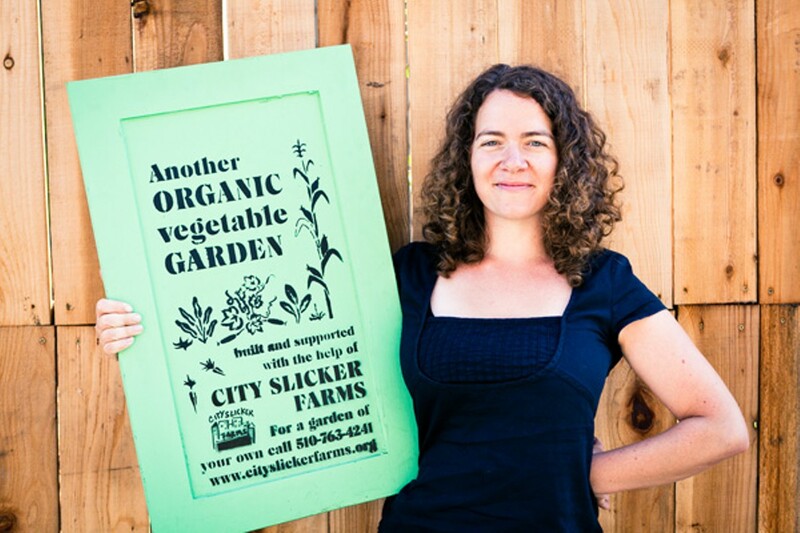 To help get the garden started, a neighbor suggested Blakeney contact City Slicker Farms, a West Oakland nonprofit that advocates for urban agriculture and installs backyard gardens in homes throughout the Bay Area. After Blakeney called to request a garden, City Slicker visited her house to take four soil samples — standard protocol for every garden they install. The results were surprising: nearly 500 parts per million of lead, more than twice the level deemed safe by the San Francisco Bay Regional Water Quality Control Board. The organization opted to cover all of the exposed dirt in Blakeney's yard with cardboard and wood chips — a process known as sheet mulching — and build raised beds for the garden. On a recent Thursday afternoon, twenty young volunteers from City Slicker and Urban Adamah, a nonprofit based in Berkeley, arrived at the house with four truckloads of mulch, hundreds of empty cardboard boxes, a few cubic yards of soil and compost, and materials to construct two four-by-eight-foot raised beds on the small concrete patio. The workers spent an entire day on the project, leaving Blakeney, her roommates, and her daughter with a safe yard, pre-planted garden beds, and a young lemon tree. That's no small victory in a neighborhood notorious for its lack of fresh and affordable produce. "One little thing turned into all this, and we just wanted some vegetables to cook with," she said. "It really turned into this wonderful thing." Blakeney said she's glad to have discovered the lead contamination before anyone ate produce grown in the soil, and has scheduled a meeting with Alameda County's lead abatement program to further address the source of the problem. "If we hadn't done this, we never would've known," she said. "Who thinks of lead in their dirt?" 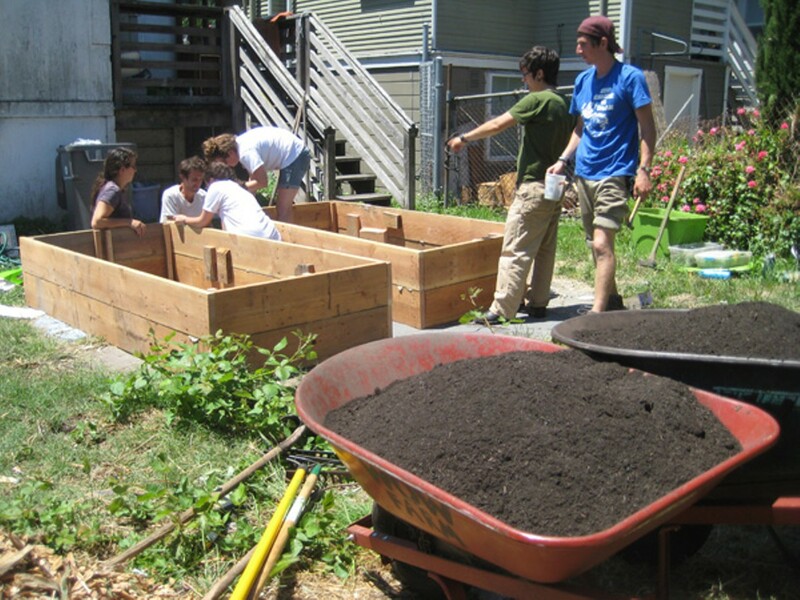 As backyard gardening continues to explode in popularity, many new farmers may be ignorant of the fact that urban topsoil, particularly throughout the East Bay flatlands, contains a cocktail of heavy metal pollutants including zinc, nickel, and cadmium that can be consumed by humans and pets through contaminated plants and soil dust. Lead, in particular, is virtually ubiquitous. At the same time, spurred by citizen demand, municipalities across the country are embracing urban agriculture. In Oakland, efforts are underway to modify the city's outdated zoning code to be more permissive of urban farming. A planning commission meeting on July 21 that officially initiated the process attracted more than three hundred enthusiastic residents. Chicago, Cleveland, Seattle, and San Francisco are among the many cities that have already enacted similar changes. 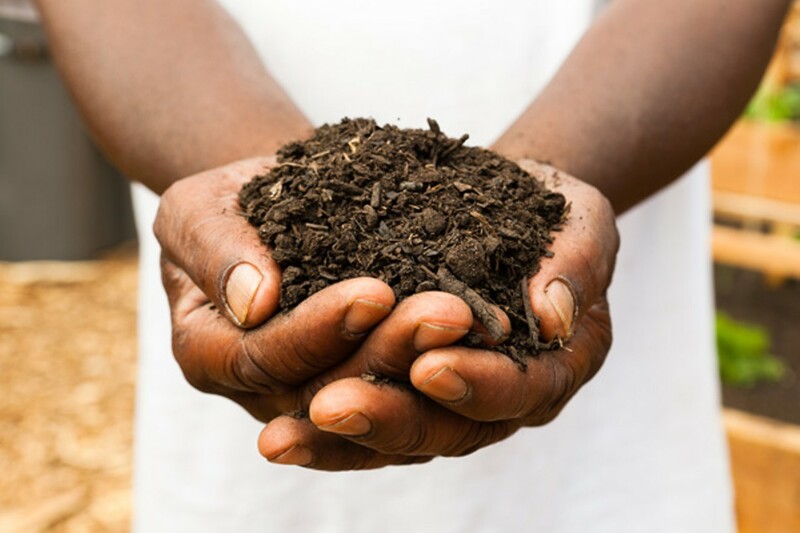 While all share the common goal of encouraging sustainable local food production, no two cities have approached the issue of soil contamination in quite the same way. Not only is there no agreement about how to encourage — or even require — urban farmers to handle soil safely, but there's also a lack of consensus among regional, state, and federal agencies as to what actually qualifies as safe. Untangling these issues won't be easy, especially in Oakland. On one hand, the city must protect citizens from the dangers of lead poisoning, and on the other it's tasked with supporting urban agriculture in areas known to contain contaminated soil. Striking the proper balance will mean the difference between disease, disappointment, and a thriving 21st-century city. 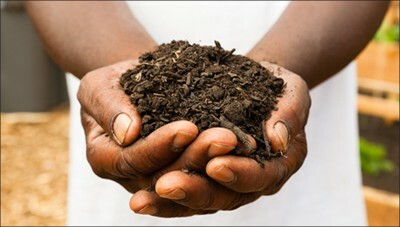 Lead in urban soils is commonly referred to as a legacy pollutant. It is most closely correlated with two sources: lead paint and leaded gasoline. Neither is still in use; lead paint was outlawed in 1978, and leaded gasoline's six-decade run ended in 1986. But their effects remain, especially in older neighborhoods near historic freeway corridors. Lead contamination in soil can also result from lead plumbing and prior commercial and industrial land uses. In the East Bay, the epicenter of old homes, freeways, and industry is West Oakland. 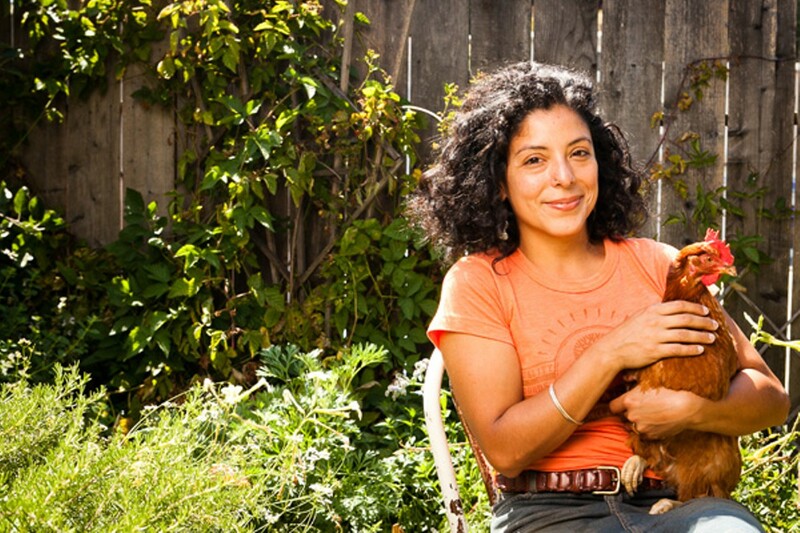 There, due to a confluence of factors including cheaper rents and land values, more vacant lots, fewer grocery stores, and more low-income residents in need of fresh produce, urban agriculture is thriving in some of the most polluted soil in the East Bay. But there's no reason urban gardens shouldn't grow there. Lead doesn't move around once it's in the soil, so levels near the perimeter of a home are often much higher than in the middle of the yard. A single paint chip in a one-cup soil sample can elevate its lead level tenfold. The same applies to lead from leaded gasoline. According to Environmental Protection Agency lead expert Steve Calanog, elevated levels of lead are present throughout the East Bay along the Interstate 80 corridor, yet deposition may vary from one yard to the next, and even between front and back yards of the same home. The question of where you plant — and where you test — is of utmost importance. Likewise, quantifying lead contamination is at best complex and at worst Sisyphean. Perhaps no one knows this better than Nathan McClintock, a UC Berkeley Ph.D candidate in geography who is completing a dissertation on urban agriculture that has led him to collect and analyze more than 120 soil samples throughout Oakland. The 1.4-acre lot at 28th and Peralta streets aims to create a more reliable source of fresh produce.